Keep your fleet rolling! At AAMCO Cedar Bluff we understand that keeping track of the routine maintenance care of your fleet vehicles can be very overwhelming. We are committed to building a strong relationship with you so you can keep your fleet running smoothly. Call AAMCO Cedar Bluff today to schedule your FREE Multi-point Inspection so we may assess your unique business needs to structure a fleet management plan for you. We accept national and local fleets, there is no business to big or too small. 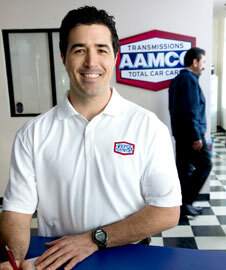 We are here to help keep your vehicle on the road.